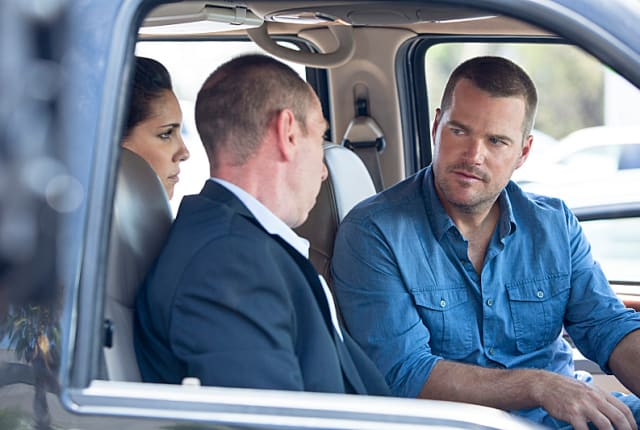 Watch NCIS: Los Angeles Season 5 Episode 1 online via TV Fanatic with over 5 options to watch the NCIS: Los Angeles S5E1 full episode. Affiliates with free and paid streaming include Amazon, iTunes, Vudu, YouTube Purchase, and Google Play. The team must hunt down stolen nuclear weapons while Sam and Deeks struggle to overcome the torture inflicted upon them on the season 5 premiere of NCIS: Los Angeles.